Edo joined Watsi on April 18th, 2013. 21 other people also joined Watsi on that day! Edo's most recent donation supported Day, a boy from Burma, to fund a cyst removal procedure. Edo has funded healthcare for 11 patients in 7 countries. Kabayonga is a hairdresser from Uganda. She is the first born out of six children. After her parents passed away when she was young, her aunt supported her. About three years ago, Kabayonga developed a swelling in a sensitive area. The swelling keeps growing and may become painful and uncomfortable. Kabayonga traveled to our medical partner's care center to receive treatment. On January 10, surgeons will remove the mass. Now, Kabayonga needs help to raise $196 to fund this procedure. 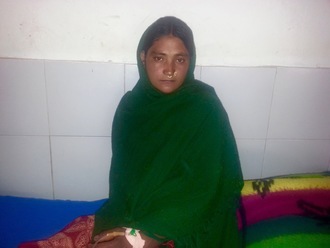 She says, "After surgery I will plan to get married because this condition has been making me shy away from marriage." Byaruhanga is a 49-year-old single father of two teenagers. He is a security guard at a tea plantation, and he works hard to provide for his children and give them the opportunity to achieve their dreams. His son hopes to become a doctor. For the past seven years, Byaruhanga has been experiencing scrotal swelling. In 2014, he went to a clinic, and the doctor there advised him to have a scan of his scrotum. Results from the scan revealed that Byaruhanga had bilateral scrotal hydrocele, fluid-filled sacs surrounding the testes that cause swelling. Byaruhanga was given antibiotics and advised to have surgery, but since he couldn't afford the treatment, he went home. Over time, the swelling has continued and the discomfort has become so severe that it is impacting Byaruhanga's work. 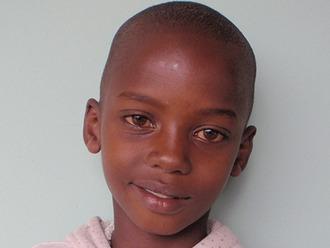 In June, Byaruhanga's neighbor received surgery funded by Watsi and advised him to do the same. On July 12, Byaruhanga will undergo hydrocele repair surgery. Our medical partner, African Mission Healthcare Foundation, is requesting $185 to fund the treatment. "Now I am worried," says Byaruhanga. "After surgery I will have peace of mind." “I want to be well, take care of my kids, and join in campaigns on cancer awareness,” shares Beatrice, a 34-year-old mother of two from Kenya. Last July, Beatrice was diagnosed with cancer in her left breast. According to our medical partner, African Mission Healthcare Foundation (AMHF), Beatrice has undergone a few sessions of chemotherapy, which have left her "experiencing fatigue and pain." This diagnosis has also seriously affected her daily life, prohibiting her from working as a shopkeeper. As a result, her children are currently living with their grandmother. Chemotherapy sessions have drained Beatrice’s family’s savings. Due to her inability to work, Beatrice now depends solely on her husband’s earnings as a mechanic. In order for Beatrice to continue receiving the treatment she needs from AIC Kijabe Hospital, she will need financial assistance. Without a mastectomy, there is risk of the cancer spreading to other parts of Beatrice’s body. 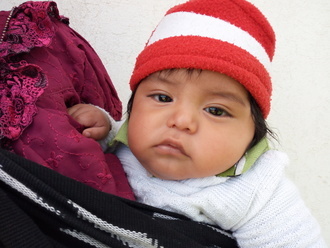 For $740, Beatrice will receive the mastectomy that she needs. WK is optimistic that after the treatment, "risk of cancer spreading to other parts of Beatrice’s body will be reduced and she will be able to take care of her family again." 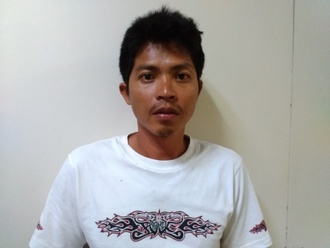 32-year-old Ulric is a habal-habal (motorcycle taxi) driver from the Philippines. He is the financial provider for his family, and has two children, six and eight years of age. Ulric is a very hardworking father and committed to providing for his family, shares our medical partner, International Care Ministries. He has a monthly income of $60, and it varies based on how many people ride on his taxi. His partner cares for their children at home. Their house is made of bamboo walls, and the floor and roof is made of nipa hut. Ulric has a multinodular thyroid goiter, or an enlarged thyroid gland. He has difficulty swallowing, and he feels that there is something stuck in his throat at all times. He cannot do heavy lifting and strenuous activities. Additionally, he gets easily tired and has difficulty working for long periods of time. It's been a year since he was diagnosed with the goiter, but he has been unable to afford treatment. Ulric needs a thyroidectomy, or total removal of the thyroid gland. Surgery will cost $1,500. Ulric will be able to live without his thyroid as long as he remains on medication after surgery. Ulric is excited about getting the treatment, because his condition really hinders him and his livelihood. "If I get treated, this can help me to do more and work hard to support for my family," he said. "I am also thankful to those giving me this opportunity - a chance that I can have a normal life again. And for the people who will be willing to help me, I am so thankful to them. I know I can't repay them but I pray that they will be blessed abundantly." Meet 21-year-old Kali from Nepal. "Kali lives with her parents. Her father used to work in India to support the family back home and returned to their village only a few months ago. The three now tend to the farm to make ends meet and it is enough to keep the family going," reports our medical partner, Possible. When she was six years old, Kali burnt her hand while cooking with firewood. "She did not seek any treatment then and ended with contracted fingers. It is difficult for her to use her hand to do household chores and other activities like lifting, leaning and so on," continues Possible. Luckily, Kali has a path to recovery. With $220, we can help her receive wound treatment. "Kali will be put under anesthesia to manipulate her joints and release the contracted joints," explains Possible. Kali's father shares, "I hope Kali's hand is treated and that she can finally use the hand that she was born with." Let’s make this happen! 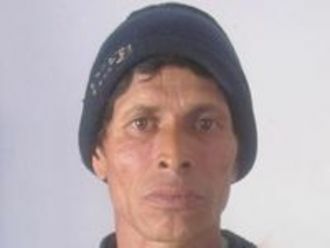 Jay Bahadur is a 45-year-old carpenter from Nepal. He cut his finger several weeks ago when he was chopping wood. He now has a bacterial infection on the skin and tissues of his left hand, which can spread to the rest of his body. Infections like Jay Bahadur's can be life-threatening if left untreated. 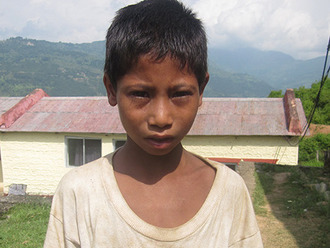 But our medical partner, Nyaya Health, can provide Jay Bahadur with surgery to treat the infection. Jay Bahadur hopes to open his own furniture shop one day. With proper healthcare, he can pursue that dream. Let's make it happen! Joel is a sweet and polite five-year-old boy who loves playing cards. He is the second of two children, and lives with his mother, who works in a salon. Joel is unable to walk properly because he has a clubfoot, a condition where the foot angles inwards at the ankle. If left untreated, Joel will likely develop painful osteoarthritis in the bones of his foot at an early age. “I would love to see my son able to walk properly” says Joel's mother. Unfortunately, she is unable to earn enough to cover daily living expenses so she cannot afford the treatment Joel needs on her own. By raising $715, we can help Joel receive the surgery and serial long leg casting he needs to start walking properly! Ram is a curious second grader from Nepal who enjoys studying English and playing volleyball with his friends. Recently, Ram has had to stay home from school due to pain and swelling caused by his inguinal hernia, a condition he was born with that has become increasingly uncomfortable. If Ram's hernia goes untreated, it could cause further swelling of his intestines and could become fatal. Ram's parents are eager to see their son's health improve, but as day laborers caring for seven children, they cannot afford the cost of his medical bills. For $1390, Ram will have an operation to correct his inguinal hernia. In addition to the surgery, this fee will cover the cost of transportation to and from the hospital along with other necessary medications. Together, we can fund Ram's treatment so that he can return to school and comfortably play with his friends and siblings! Rosa lives in a small village in a remote part of Guatemala. 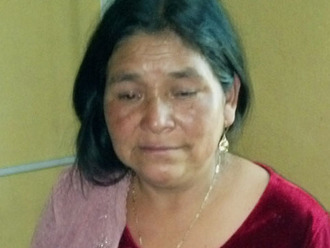 She is indigenous Guatemalan and speaks only the local Mayan language, Q’anjob’al Maya. With 80% of indigenous Guatemalans living in poverty, access to healthcare continues to be a huge challenge for Rosa’s community. Rosa lost her left hand 10 years ago in an accident with a sugar cane processing machine. Extreme poverty, geographical remoteness and the language barrier prevented her from accessing ongoing medical care after her accident. With the help of Watsi and our medical partner in Guatemala, Rosa can have a prosthetic arm custom fitted, for a total cost of $650.00. This will greatly improve Rosa’s ability to work in the fields and at home, making life just a little bit easier for her.